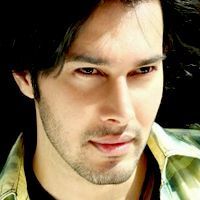 Check out the most updated and latest information about Rajneesh Duggal's on the Internet.We have 21 videos of Rajneesh Duggal including interviews, events, or public appearances.Rajneesh Duggal has over 30 Fans registered on India-Forums.com. We have 38 Bollywood News articles related to Rajneesh Duggal.Do share your criticism, comments and feedback for the Actor on Rajneesh Duggal's comments page. We have over 38 Photos of Rajneesh Duggal to view and download including Rajneesh Duggal's Wallpapers. I really am missing Varundev. He was perfect. Rajneesh Duggal , watching Aarambh for you n your chemistry with krathika. Love you. Rajneesh Duggal, missing you all lot . Can't believe that you won't be there for Friday's epi. Rajneesh, you are doing an awesome job as VarunDev in Aarambh! Congrats for winning kkk always wanted you to win. Hope to see u in tv soon.